While it might be visually unimpressive, Per.Oxyd is a neat little puzzler that should appeal to anyone in the mood for a bit of head scratching entertainment. 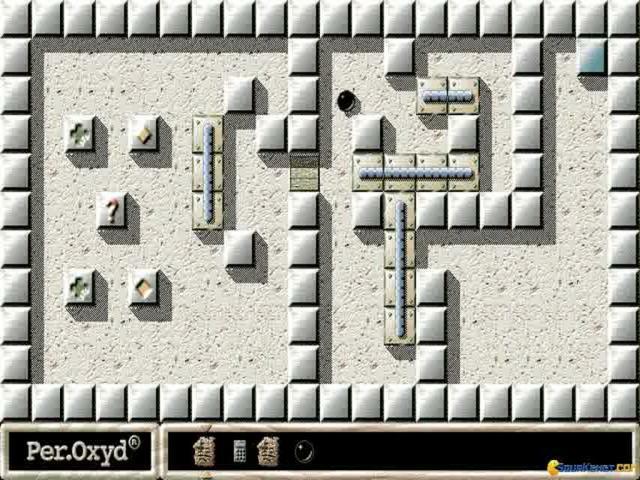 As with the best puzzle games, the concept is straightforward enough but completing Oxyd's 200 levels is much more complex. 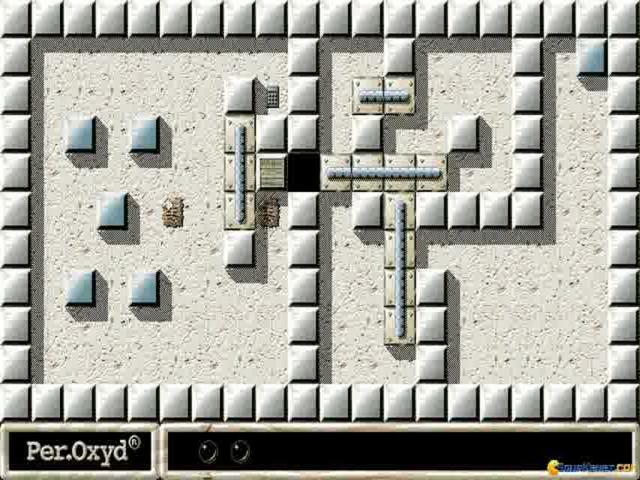 You control a black orb which is trapped with a labyrinth and your task is simply to re-start all the oxygen generators which litter the levels and which are threatening to suffocate your world. 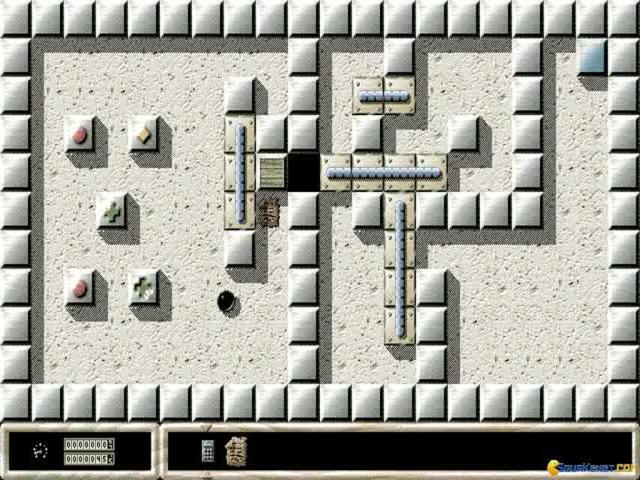 This is achieved by opening them in pairs of matching patterns and with the player rolling the ball around and touching the generators to open them. 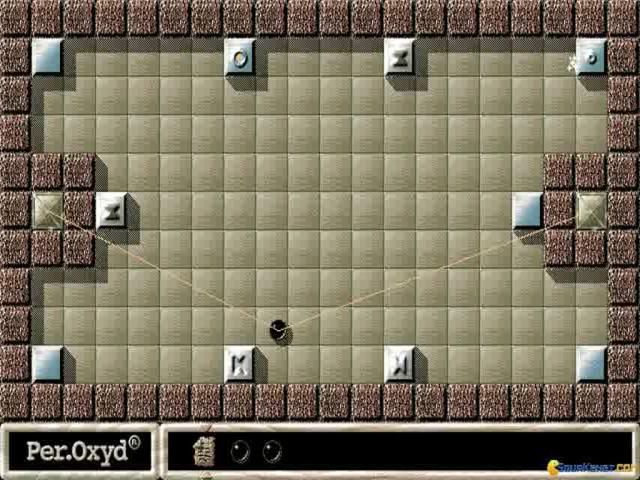 This is of course more difficult than it sounds as the generators are spread out and not easily accessible, while other items like bombs, disks and spades can be added to your inventory and which can be used for various purposes like creating or destroying blocks or opening doors. It's these elements which give the game much of its appeal as they require a lot of experimentation to discover their effects when they interact with each other and there is a lot of fun to be had from finding out interesting combinations of objects. 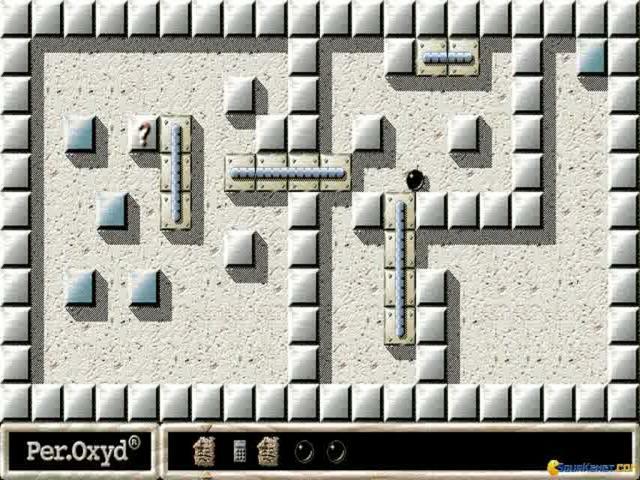 Over the course of the 200 or so levels, there is a great deal of variety in the terrain and obstacles and which combine to create some immensely challenging stages that will really tax your brain. 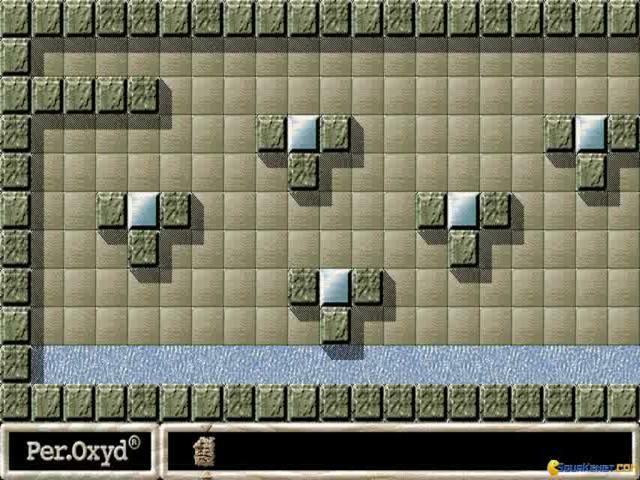 When you throw in the occasional level where you have to control several balls, you have all the makings of a classic puzzler. 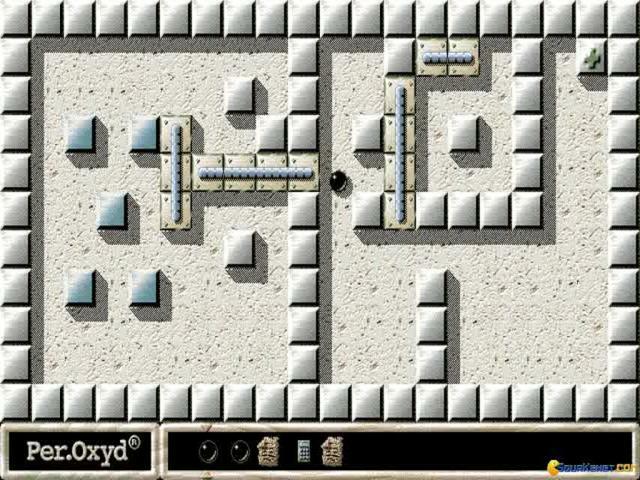 The visuals are fairly dull but this isn't overly important as the main gameplay is so compelling, so if you are a fan of Marble Madness, Chip's Challenge or other such puzzle games, this is well worth a look.